These are specific instructions to help you unlock your Sidekick device. 2) Your Sidekick unlock code sent via Email from us. (If you don’t have an unlock code yet, Get Sidekick Unlock Code here). * This method uses software to read your unlock code in your phone. 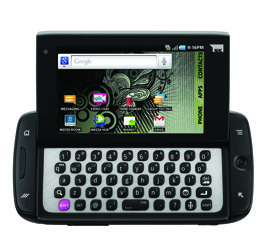 Once you receive the software download link, you will instantly be able to unlock your sidekick device. In case you see the “Waiting for Activation Screen”, hit the menu key and the letter L key at the same time. If you have a Sidekick 3, use the Del instead of the L key. The menu key is the top left key. By doing this, the waiting screen will go away and you will be able to make calls. For best results, hold down Menu and the L key until the Waiting for Activation screen disappears. Like us if we helped you Unlock your Sidekick Phone!